This proposed “electron-ion collider,” or EIC, would serve as a state-of-the-art facility designed to answer some of the deepest questions about our Universe. The National Academies “finds a compelling scientific case for such a facility,” according to its report released today. “We can view the EIC,” and the nuclear physics it will study, “as the last frontier of Standard Model physics,” Ani Aprahamian, professor of experimental nuclear physics at the University of Notre Dame, said in a National Academies webinar on Tuesday. An electron-ion collider would smash a beam of polarized electrons with a beam of polarized protons at high luminosity, meaning the particles in each beam have aligned spins and the beams are squeezed to maximize the collisions. Such an experiment is meant to study the structure inside atomic nuclei and protons. Plenty of mysteries remain on this front—like how protons get their nuclear spins in the first place, or why they weigh over 100 times more than the sum of their parts (called quarks), for example. At present, two labs with half of the puzzle each are vying for the collider. One particle accelerator, the Relativistic Heavy Ion Collider in Brookhaven National Lab (BNL) in New York, already has a ring that accelerates polarized protons, and would just need an electron ring. 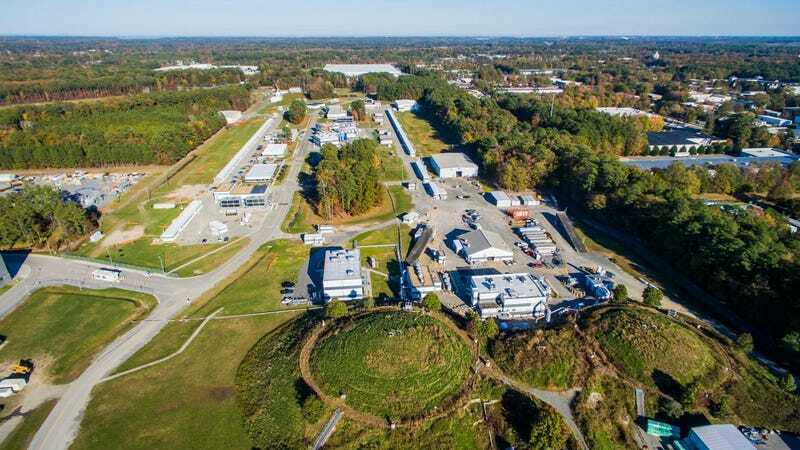 Another, the Thomas Jefferson National Accelerator Facility (JLab) in Virginia, has an electron accelerator, and would need the proton ring.